Ranking for branded keywords is obviously quite a bit easier than for unbranded terms, but it takes some thought. We don't just want to send everyone through our homepages; it's far better to send them to the page that best answers their query. 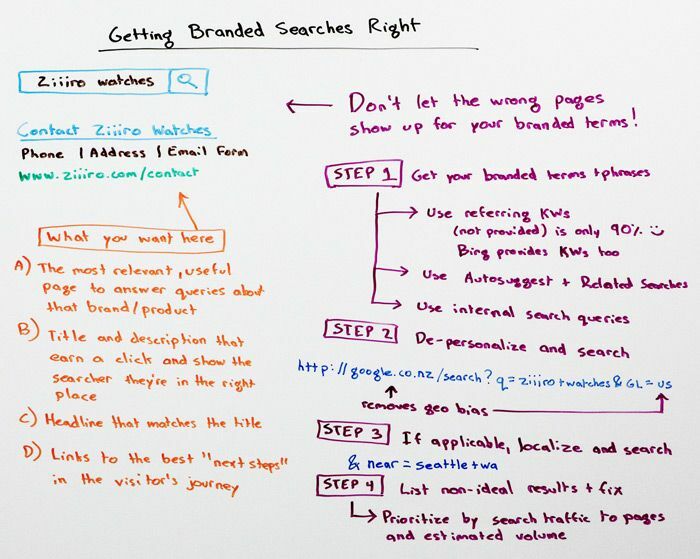 In today's Whiteboard Friday, Rand covers four steps to be sure you're setting things up the right way.